Modafinil (Provigil) and Adderall are both FDA approved Central Nervous Stimulants (CNS). These medications are mainly used to boost concentration, focus and visual perception. They are categorized under nootropics, also referred to as “smart drugs”, or study aids. Modafinil was first released to the market in the late 1990s for the treatment of Narcolepsy. It was later prescribed to treat severe sleepiness caused by OSA (obstructive sleep apnea). Through the years, people started using it to elevate symptoms of Multiple Sclerosis and Parkinson’s Disease. Eventually, it was used by students, military, and executives to fight against fatigue and sleep deprivation. Recently, doctors started prescribing Modafinil to lessen the symptoms of ADHD. One study even proved that Modafinil can target impulsive behaviors commonly present in people with ADHD. Amphetamine was originally synthesized in Germany in the late 1880’s and was introduced in the US in 1927. Shire Pharmaceuticals later rebranded amphetamine as Adderall, with a special blend of salts (dextroamphetamine and amphetamine) that target ADHD, Narcolepsy and ADD (note the “ADD” in Adderall). Both drugs prevent the absorption of the three neurotransmitters in the brain – dopamine (DA), and serotonin (5-HT) and norepinephrine (NE) to prolong their benefit. Although Modafinil and Adderall are in the same category, Modafinil is not amphetamine-based which means its effects are not as powerful as Adderall. However, it has the ability to improve perception, alertness, and thinking, which are common stimulant effects. *Immediate release means the pills dissolves quickly in the stomach. 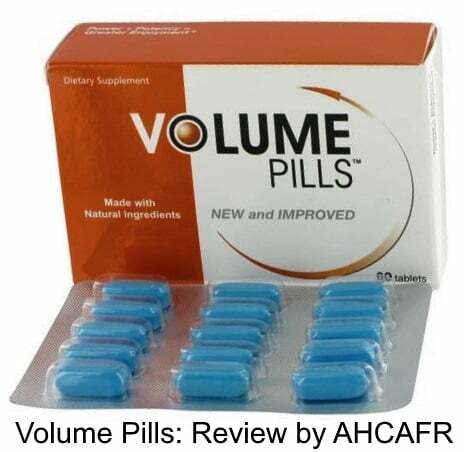 Extended release, or controlled release pills have a coating that allows the drug to to dissolve slowly. 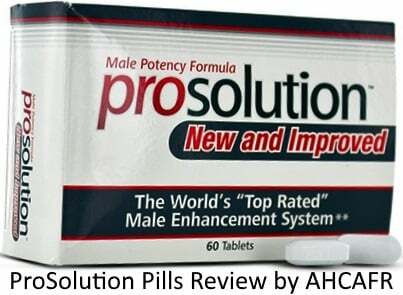 Increased Potency – Both drugs can increase potency. Adderall has a stronger effect that it can become uncomfortable. Motivation – For some, Modafinil is the best go-to drug for affecting the mindset in a positive manner. With Modafinil, you will feel motivated to do what usually feel like tedious tasks. Adderall, on the other hand, has the effect that forces one to finish tasks faster. Improved Alertness – Modafinil and Adderall are great for times when you need to stay awake and focused. 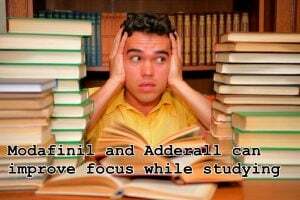 Most people take nootropics while studying for exams or when pulling an all-nighter. If taken for the purpose of jump-starting the day, it is recommended to take the pills in the morning as it can be difficult to fall asleep when taken late in the day. Better Productivity – Adderall and Modafinil promote wakefulness, longer attention span, memory retention and remembering information. Weight Loss – Some people use Adderall for suppressing appetite. The effects of Modafinil can be maximized by taking dopamine boosters like cocoa and caffeine. Physical activities can also maximize its benefits. 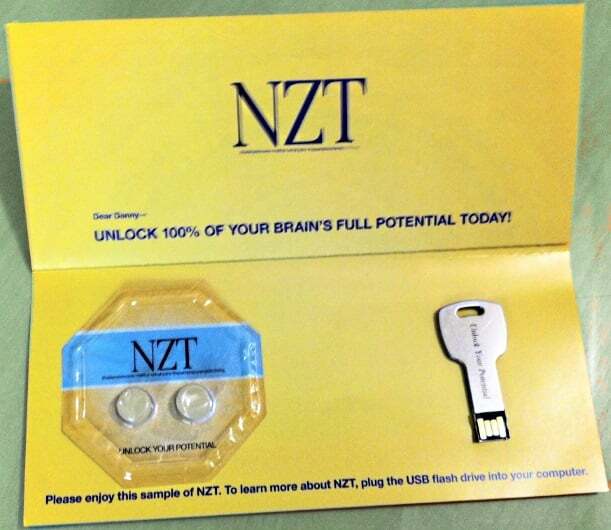 Modafinil is usually compared to NZT-48, a fictional drug that is featured in the movie, Limitless. 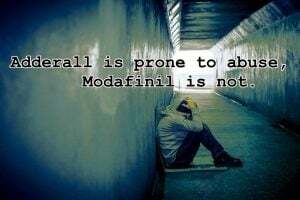 Because Adderall is a much stronger drug, there are people who report that they do not feel the benefits of taking Modafinil. On the other hand, there are some who switch to Modafinil as it can be described as a “safe drug” and a good alternative to Adderall. Note that both Modafinil and Adderall are approved by the FDA. Overall, the motivation that Adderall gives can feel forced, and some people avoid this drug because of its amphetamine properties. Also, Modafinil has the ability to decrease the oxidative levels in the brain. This results to a healthier brain. Research has shown that Modafinil is very helpful in treating fatigue in people who suffer from Parkinson’s disease. Another study has proven that with therapy, this drug can reduce cocaine craving, especially those who do not have a history of alcoholism. Other studies show that it may also be a good medication for schizophrenia. Adderall, on the other hand, has not been proven to be helpful with these cases but is a good medication for ADHD, ADD and Narcolepsy. Adderall is a popular smart drug that is commonly used for studying. 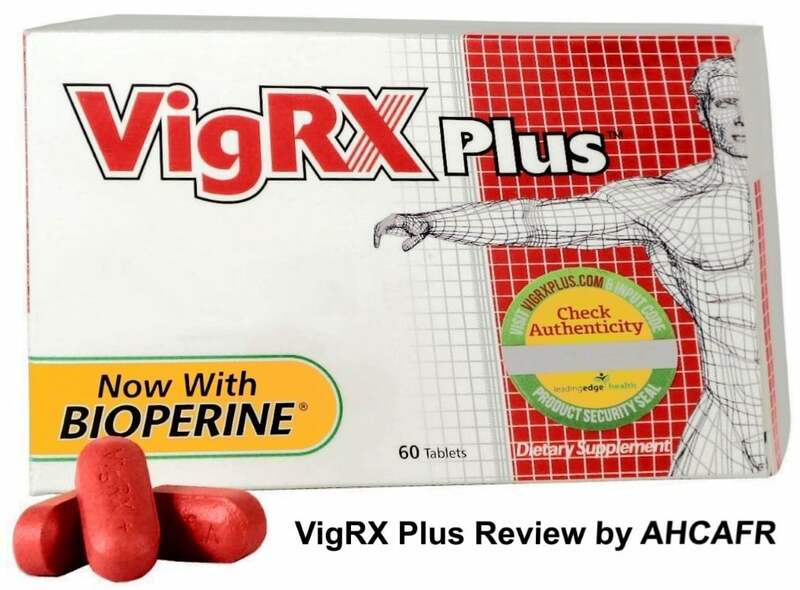 Its cognitive enhancement is believed to be achievable even in low doses. There is a lack of evidence that ADHD drugs like Adderall can force the brain to memorize or learn. There are studies conducted to find out if Adderall is a good smart drug, and the results are conflicting. The studies suggest that Adderall may be slightly helpful, but can also be dangerous at the same time. Overtime, the body will become tolerant to amphetamine, thus becoming less effective when taken with the same dose. This drug can force the brain to stay focused which can be very helpful while studying. However, this short-term positive effect is quickly counteracted by withdrawal symptoms. Modafinil, on the other hand, can boost learning capabilities, memory, and decision-making without the negative effects that are observed in Adderall use. Because it is safer, most students prefer Modafinil over other smart drugs. It is proven to be effective throughout the day without the forced feeling of having to study. Unlike Adderall, Modafinil does not cause one to feel burned out at the end of the day. Not only is it cheaper, it is also easier to obtain. Both drugs have not demonstrated their ability to improve analysis and creativity but can be useful for having a more powerful memory. There is a lack of evidence that those who take smart drugs are better in school than those who don’t. For physical activities, Modafinil has been proven to be helpful in productivity and stamina when working out, without feeling tired. Adderall should not be used before working out as it can increase heart rate and make you feel tired easily. Adderall has been used to combat sleep deprivation and fatigue in soldiers, astronauts, and pilots. In 2012, Modafinil has been substituted to Dexamphetamine – one of the main components of Adderall, which has been used in the military. However, there are negative side effects that include nausea, dizziness, and vertigo. For some people, Adderall makes them feel the need to finish things fast, which is a good thing for work. Both are drugs that affect the concentration level of dopamine. This is a chemical in the brain that has a “feel good” effect on the body. Adderall works by stimulating a very high volume of dopamine, which can be dangerous when a person misuses the drug. This is a common practice on college campuses as students can easily obtain the pill to use as a party drug. Continuous use of Adderall makes the body tolerant to the drug, thus demanding more doses on the next use in order to experience the same effect. As a result, it is easy to get addicted to this pill. For starters, it is recommended to take the smallest dose as overdosing can negate all the positive effects of Adderall. Instead of stimulating dopamine directly, Modafinil decreases the level of a brain chemical called gamma-aminobutyric. This chemical causes the brain to slow down.This drug is not the typical recreational drug, but some people can abuse it for its euphoric effect. Euphoria is a term that describes the increased excitement, happiness, and the feeling of having a positive well-being. But this effect can be achieved with a very high dose of Modafinil, way over the standard dose. After several weeks of taking smart drugs, a person might feel being in a twilight zone – neither awake nor asleep. In the long run, a person who is dependent to nootropics may experience slow-wave sleep. This is a very low quality sleep where the body has lost its ability to determine how much sleep it needs so one may feel fatigued even after waking up. On a clinical trial for Modafinil, subjects were given 1000 to about 1600 mg in a span of 7 – 21 days. Continuous intake of high doses causes nausea and severe headaches. 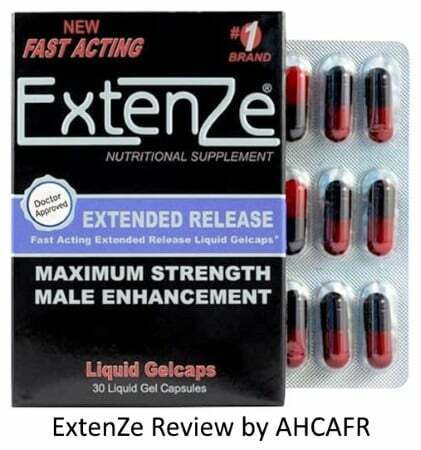 However, these side effects passed 1 to 2 days after discontinuing the drug and there is no recorded long-term damage. Modafinil is generally safe to take as long as it taken in low to moderate doses. If it is coming from a bad source or misused, it can cause serious side effects. It is recommended that people with a history of heart problems not take Modafinil as it can increase blood pressure and heart rate. The effectiveness of hormonal contraceptives (progesterone and estrogen-based pills and implants) can also be reduced significantly when taken with Modafinil. Like Adderall, one can also be tolerant to Modafinil when taken frequently over a period of time. The clinical trial has concluded that there are no serious withdrawal effects, but there are some negative mental effects due to imbalanced dopamine levels. Adderall has more negative side effects than Modafinil when used by healthy people. Some people tend to experience them more intensely than the others depending on how their body reacts. Oftentimes, users complain of loss of sexual desire, nervousness, and delayed physical development in children. There are people who are too sensitive to Adderall no matter what dose they take. Side effects include confusion, hearing voices and paranoia. Patients who may be suffering from a psychotic disorder or Bipolar disorder can also experience intensified symptoms. Adderall can damage the kidney, bladder and liver when taken for a long time. 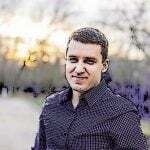 Adderall can affect the enzyme production that is helpful for the liver. Both drugs cannot be taken with alcohol. There are cases where people who took Modafinil have blacked out with minimal alcohol intake. Others were hospitalized after taking one drink with Adderall. Adderall and Modafinil are helpful for treating ADHD, ADD and narcolepsy. For healthy individuals, both are used to boost productivity and intellectual activities. Modafinil is also referred to as “a stronger cup of coffee”. After about 200 human studies for Modafinil, it is proven safe to use and is the top smart-drug choice. Because of its amphetamine property, Adderall has a much stronger effect than Modafinil so one can easily overdose. With Adderall, one may feel fatigued or burned out as the medicine is wearing off. This is not the case with Modafinil.